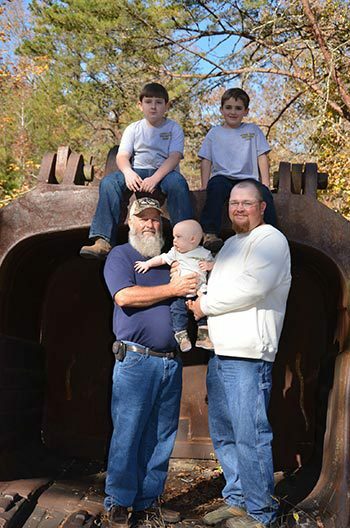 DeBord & Son Construction & Trucking has over 41 years of experience serving Pikeville, Dayton, Dunlap, and surrounding areas of Tennessee. Our family owned and operated business is a fully licensed contractor for all types of grading, excavating, backhoe, and site work. No matter your needs, our construction and trucking experts are here to help. Every member of our team is experienced and trained in using a variety of equipment. They know just what to use for your job. Our crews also understand that good preparation is the foundation of any good excavation job. We do the job right throughout all phases of the project. High-quality backhoe and excavating work requires skill—and we’ve got it. As you can see, there’s plenty of work that we can help you with. If you’re a contractor working in new construction, a developer building a new neighborhood, or a homeowner making changes to your property, we’re the people to call. Contact DeBord & Son Construction & Trucking to learn more about any of our services. We’re happy to help you determine exactly what needs to be done on your property. Just give us a call and schedule a time for us to come out and take a look. We’ll even give you a free estimate and an outline of the recommended work. It won’t take long for you to see why we’re one of the Pikeville, TN area’s most trusted grading and excavating contractors. Call today for backhoe work and more!